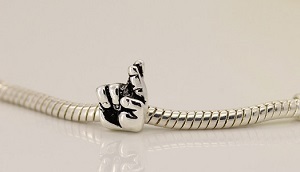 Silver Plated adorable promise pandora charm. Cute bead. NOTE: Bracelet not included. Size 1.1cm by .8cm. Delicate charm for your Pandora Bracelet.